This weekend, Yulia and I went to Pizza Veterano. 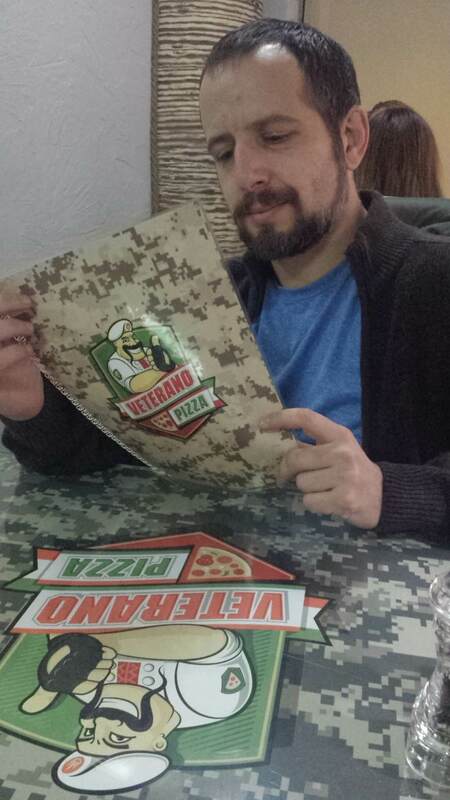 A pizzeria in Kyiv opened by two war veterans (http://euromaidanpress.com/2015/12/14/how-pizza-made-by-ukraines-war-veterans-has-taken-over-kyiv/). I’m happy to say that the place was packed. We had to wait for table. While eating, the lady at the next table told the waitress she’d been trying to contact the owner about franchising. This entry was posted in Mostly Tourism on February 5, 2016 by RomanInUkraine.